How amazing! 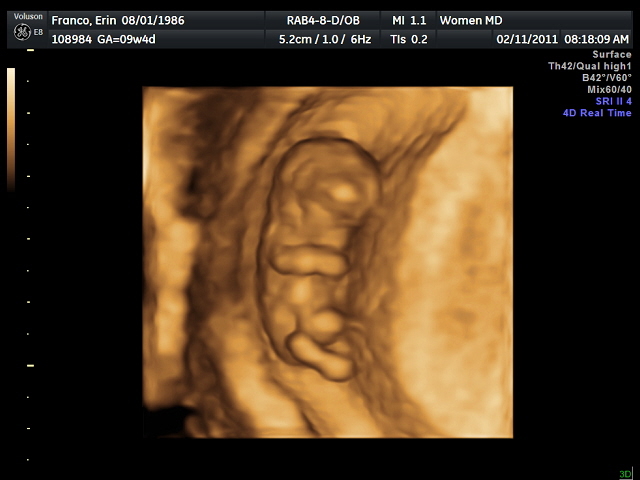 This little 1-inch person is snuggling and wiggling around inside of me already…wow. 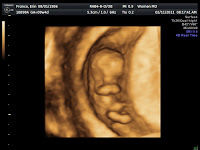 I’ll be honest, I’ve struggled both with Gabriel and with this little one with the fear of miscarriage. I know that it’s a devastating but surprisingly common thing–especially before the 14-week mark. And many people I know have had to deal with one or more miscarriages, and several of those were past the 5-month mark. 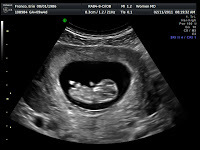 I’ve found myself saying things a lot lately like, “Oh, we’re only 8 weeks along,” or “It’s still so early, you know…” But after seeing my ultrasound pictures and video today, I’m so inspired to commit myself to peace again, to trusting “as a little child” in God when it comes to this pregnancy and future ones. 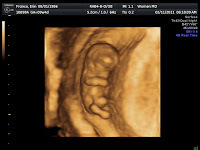 At literally 10 weeks and 6 days old, this little person I’m carrying has a heartbeat, head and arms and legs, and favorite ways to stretch and positions to nap. One thing that Michael and I believe strongly is that every baby is a gift from God for as long as we are blessed with him or her. Love and blessings from Houston on all of you today! What a precious little one! I'm SO happy for you! I have fears of having a miscarriage one day too, and this is how I look at it: even if I DO miscarry, I'll be at peace knowing that for the few short weeks of my baby's life, he or she was SO loved – what more could you give your baby? I remember having really bad, sharp ligament pains with Joe, and of course, since he was my first baby to get that far in gestational age, I was freaked out! I didn't know what was going on. 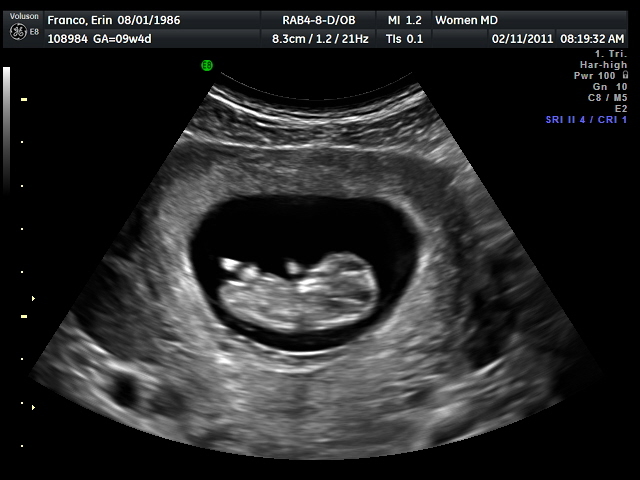 We went to the doctor and saw our little bean at 10 weeks old jumping around just like that! It is so amazing! So beautiful! Thank for something wonderful to start my day :).